databases, but it also provides training and programming for more effective teaching. 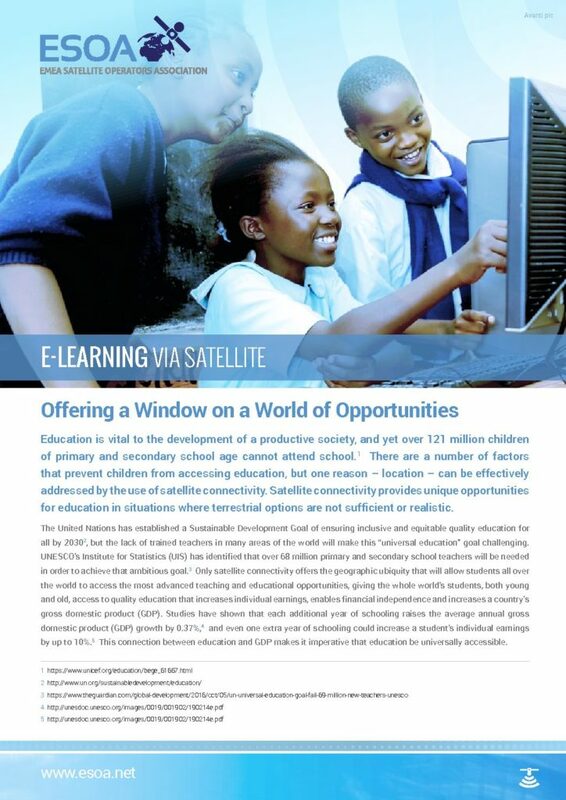 Satellites are necessary to achieve the UN’s goal of ensuring inclusive and equitable quality education for all by 2030. Governments and policymakers are well advised to make best use of this immediately available technology.